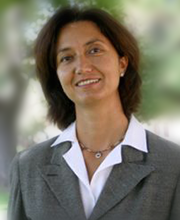 Ayşe İmrohoroğlu is a Professor of Finance and Business Economics at the University of Southern California. She received her PhD from the University of Minnesota and her B.A. from the Middle East Technical University in Turkey. Her research combines theory and data to shed light on questions concerning business cycles, social security, employment and crime. Recently, her work has focused on understanding the differences in savings rates across countries. Her findings indicate that differences in productivity, tax rates, government intervention such as the one-child policy or long-term care costs can easily lead to big variations in saving rates across counties. Currently she serves as one of the editors of the European Economic Review.